In the children school holidays we can only accommodate 7 nights, which must run Friday to Friday. At other times during peak season - 3 nights must run Friday to Monday - 4 nights bus run Monday to Friday. During low season dates can be more flexible, please ask for availability. A booking is only secure by paying £150 non-refundable deposit and completing a booking form. The remainder must be paid 6 weeks prior to arrival. 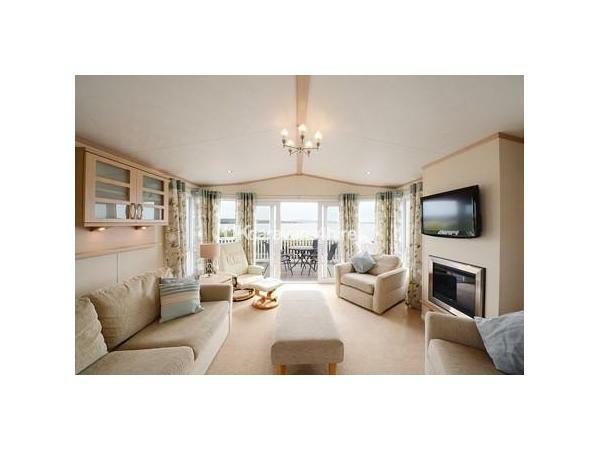 At the same time we will also require a damage/breakages deposit of £100.00 which will be refunded after the holiday home has been cleaned and inspected after departure. Please note that the deposit will also be withheld if there are reports of any inappropriate behaviour which leads to other guests holiday being spoilt. Please supply how many people are in your party and the ages of children, if any. 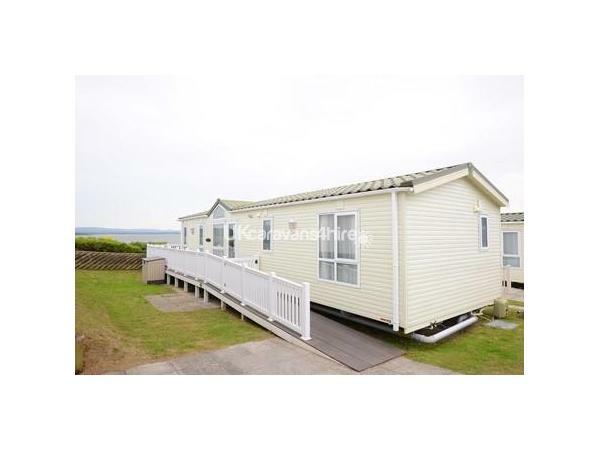 This is a luxury high quality holiday home. 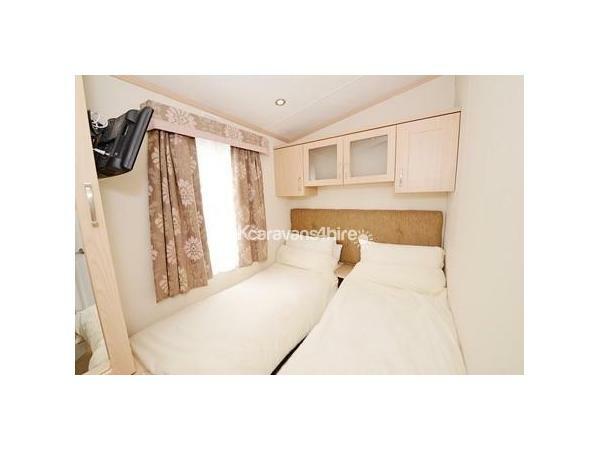 It has 3 bedrooms, which very comfortably sleeps 6 adults. 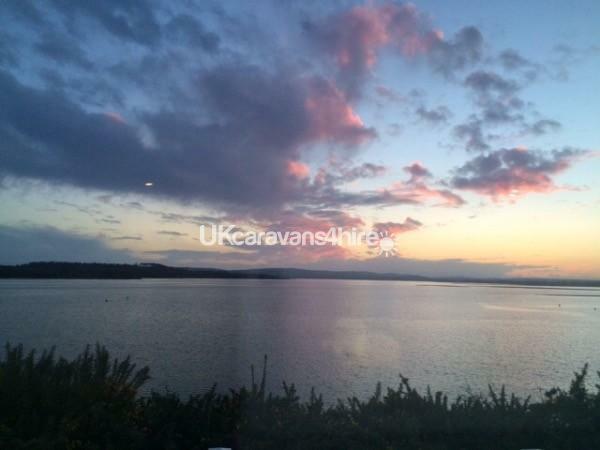 Situated on the Dorset five star Haven site Rockley Park, Poole, the exact location is Harbour View. 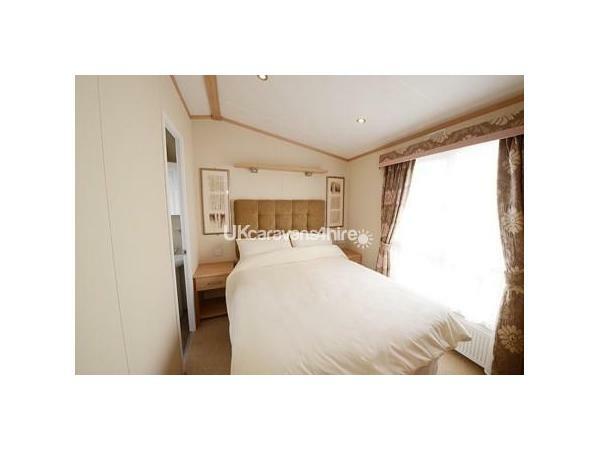 A prime spot, this is extremely private and quiet location on a no through road. 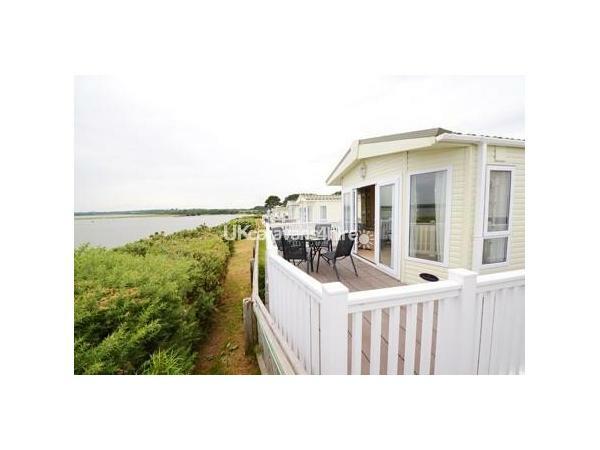 It has front row, uninterrupted, views of Poole Harbour. The majority of holiday homes in this quiet enclave are privately owned and is a true home from home, with all modern conveniences. It has room for two cars to be parked. 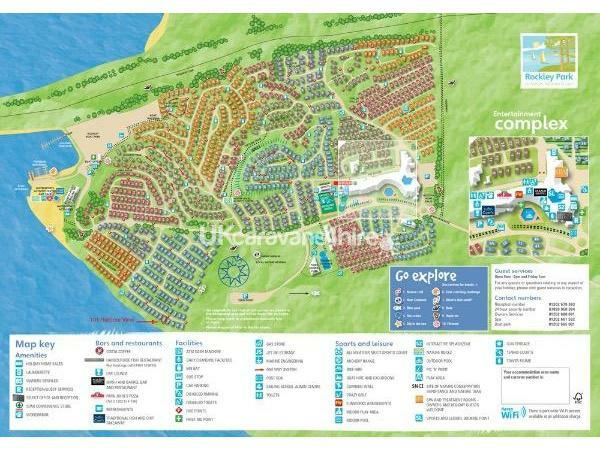 The beach is a 5 minute walk away and a 7-10 minute stroll to the centre of the park. The holiday home has double glazing and central heating. The lounge has a comfortable modern 3 piece suite, wall mounted flat screen TV with Freeview, DVD, remote controlled real flame effect fire, foot stool, side table and radiator. From the lounge area there are sliding patio doors out onto the terrace and outside dining area. 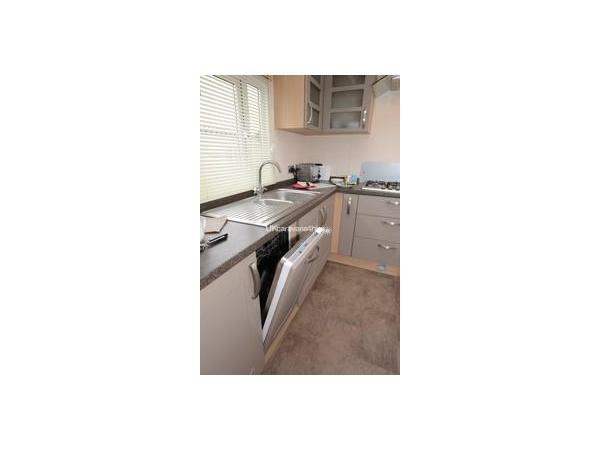 The kitchen has integrated gas oven and separate grill, also integrated microwave combi oven, dishwasher, gas hob, plenty of cupboard space, pots, pans and ample crockery, cutlery, mugs and glass wear. Also plastic cups and plates for children. 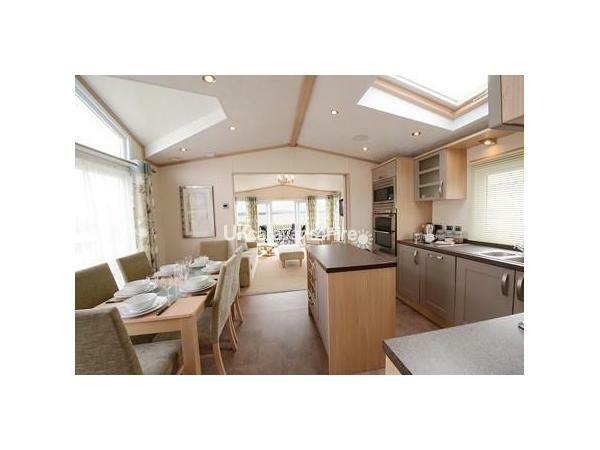 A separate area houses a full size fridge freezer, family size washer dryer, vacuum, iron and ironing board. 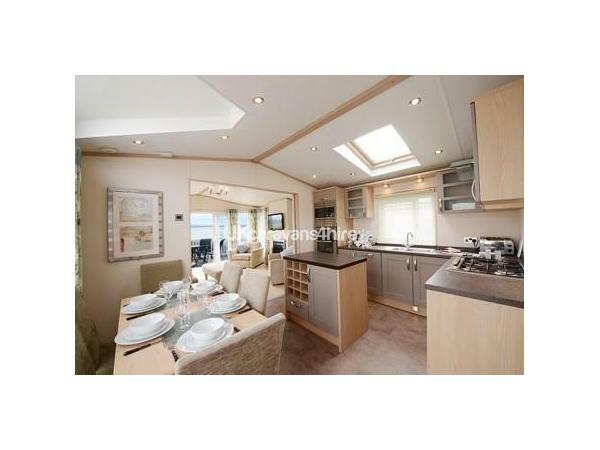 The kitchen also has plenty of workspace with a central island which has draw and cupboard space. 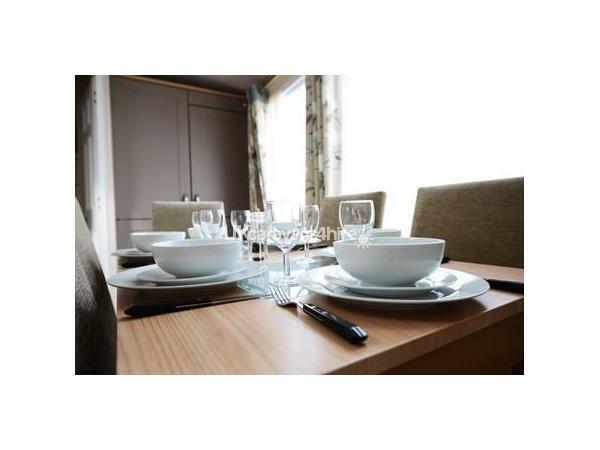 There is a dining table with 6 very comfortable dining chairs. Funworks passes are not included in the price, these can be purchased from reception and will give you access to facilities requiring membership. There is a bus service that runs from Rockley Park to Poole town centre, from there you can get access to the train station. When arriving the holiday home is available from 3pm. Checkout is 10am. Additional Info: Rockley Park Marina and Spa has day and night entertainment at the LIVE Lounge - Bar - Restaurants - Takeaway - Indoor/Outdoor pool - Waterslides - Supermarket - Beach with small kiosk selling snacks, hot and cold drinks also ice creams - Childrens' playground at the beach - Water sports - Marina - Nature trail - Beauty Spa facilities - Hire of high-chairs/cots, etc. Access to the park facilities require a pass which can be purchased from the main reception on arrival.